LED troffers can be a decorator’s dream if they’re used with a dash of creativity. Recessed options are the perfect way to keep your sensitive eyes happy, adding visual accents while simultaneously taking care of your ambient lighting and wallet. They’ll push your utility bills down without creating the flicker of their fluorescent ancestors. The industry has latched onto troffers with so much enthusiasm that the market has become flooded with constantly improving versions. The Interior Lighting Campaign recommends them for commercial buildings for their incredible efficiency. While you can benefit from the initiative with any troffers, LEDs are silent and flicker-free. There is no universal solution to satisfying your aesthetic and efficiency needs with troffers. You have to find the balance that suits you best. Luminous efficacy ratios will let you arrive at the ideal brightness and energy efficiency for your home. Every advantage comes with a trade-off. 6500 k troffers that can render the colors of a room efficiently tend to win out for obvious reasons, but if you’re seeking task lighting that adds crispness, you’d do better with a color rendering index (CRI) of about 90. If you’re lighting an exterior, you’ll need at least 5,000 lumens. If you need potent task lighting and extreme efficiency, troffers also come in models with adjustable light levels. Recessed and premium, framed troffer panels can add to the aesthetics of a room while using a meager 96.7 TWh of power every year on 10 hours a day. For more information and side-by-side comparisons, check out this PDF from the U.S. Department of Energy. 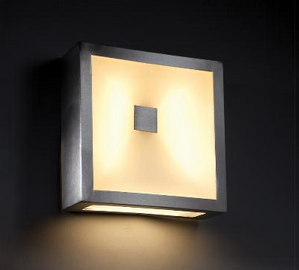 At Premier Lighting, it’s our job to know how lighting works and the new ways to innovate it. We understand the power and beauty in light, and can help you style your home with one of the greatest sources on Earth.